Today more than ever before dental patients have a wide range of choices when it comes to tooth repair and restoration options. Dealing with broken teeth or noticeably decayed teeth is a major consideration because it can have a direct impact on the patient’s smile. Whether it is the result of dental trauma, injury or decay, damaged teeth can directly impact one’s long-term and short-term self-image and personal self-esteem. Crowns are an innovative and unique way of restoring teeth so that they took as natural as the patient’s original own natural teeth. In essence, crowns are tooth coverings that serve to take the place of the tooth’s original outer surface. 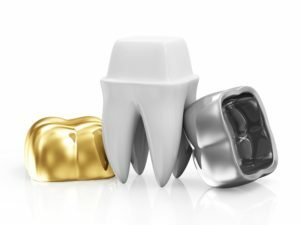 Considered by most dental care providers to be one of the best solutions for dental problems caused by disease, injury or general wear, crowns can be made of gold, porcelain or other materials. It should be noted that in most cases being fitted for a crown requires two separate office visits. During the first visit, the affected tooth is cleaned as a way to remove all decay. The tooth is then reshaped as needed so that an impression can be made. 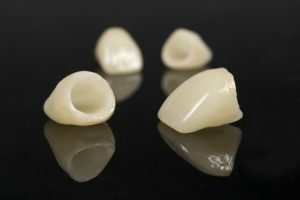 This impression is important because it will be used to create the permanent crown. 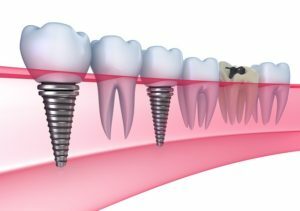 Patients are fitted with a temporary crown or cap until their next appointment where at which point the permanent crown restoration will be placed. Here are some of the most important benefits to consider with regard to dental crowns and all that they offer today’s modern dental patients. For example, crowns are instrumental in helping to prevent infection or advanced tooth decay. Dental crowns used to cover teeth that have become decayed function in such a way that they preserve the tooth so that no further decay will occur. Most importantly, dental crowns allow for full and normal functionality with regard to biting, chewing and smiling. Crowns are also highly regarded because they provide support to teeth that have become damaged. They are effective in strengthening and supporting teeth that have become badly broken or damaged. In short, crowns are impressive when it comes to preserving the functionality of teeth for patients of virtually any age. 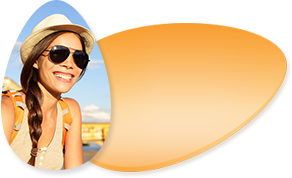 Crowns are a long-term restoration solution for patients. In other words, dental crowns can be expected to last for decades and in many cases a lifetime. When they are properly cared for and maintained they can easily last for a very long time by any measure. Finally, crowns look completely natural and are made in such a way that they mimic natural teeth that are healthy and strong. Stated another way, quality crown restoration work is so effective that nobody will be able to tell the difference between the patient’s natural teeth and their crowns. As an added bonus, crowns are in many cases stronger than natural teeth and can actually strengthen teeth that become damaged or decayed. Along with the cosmetic value of crowns, they offer strong and long-lasting reliability while promoting greater self-confidence through a beautiful looking smile. Contact your San Jose dental care provider, Dr. Zadeh at Beautiful Smile Dental to learn more about dental crowns.